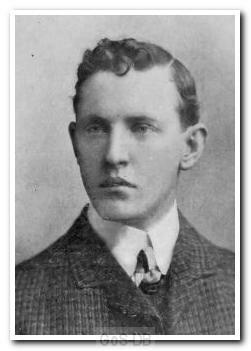 Fitchett began his career in his native Manchester with the Talbot club before joining Bolton Wanderers in 1897. He spent four years at Burnden Park and played 76 times for the club. After a brief spell with Southampton he returned to his hometown to play for Manchester United, but managed just a handful of appearances before joining Argyle in May 1903. Primarily a left-back, Fitchett was a regular member of Argyle's first professional side but returned to Manchester United at the end of the 1903/04 season. After another year with United he moved across town to join Manchester City and also went on to play for Fulham, Sale Holmfield and Exeter City.